Bill lived in The Myrtle, Biddenfield Lane, Wickham, Hampshire when war broke out. 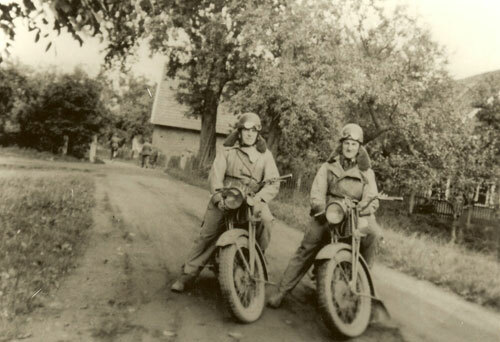 In 1939 he joined the RAF as a Dispatch Rider. His training took place at SCardington. 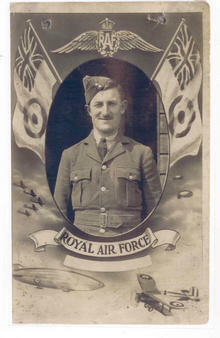 He was stationed at several different places including, Titchfield, Gosport, Cardington, etc. 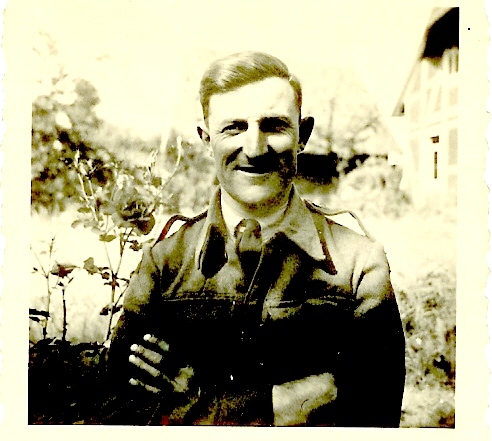 He was finally stationed in Belgium in 1945-1946. He returned to England in 1947 and worked at Frith Farm, but when Mr Roberts told him off for making the other workers laugh too much instead of working, he decided to work for himself. He and Miriam worked alongside each other until her stroke on 25th October 2001. Stan Harris met Bill when they were in the RAF. To Bill and Miriam’s children he was always Uncle Stan and his wife, Aunty Sybil . They lived in Beaconsfield and used to visit Bill and Miriam at least once a year.